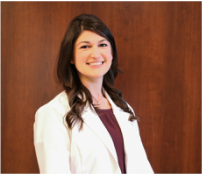 ﻿"There is nothing more rewarding than making my patients smile." 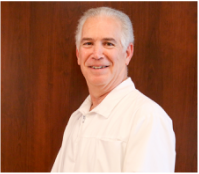 "I love to make my patients feel comfortable, healthy, and happy!" 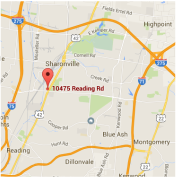 Our office is conveniently located in the heart of northern Cincinnati. We love to see your entire family. We specialize in adults and kids. Schedule your entire family's cleanings in ​one appointment! A beautiful smile builds confidence. We can help you achieve the smile you've always wanted with porcelain veneers, whitening, and implants. Invisalign is the clear alternative to metal braces for adults and teens. Ask about the virtually invisible way to improve your smile. 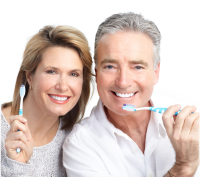 Our family dental practice is committed to providing quality services that will not only improve the look and function of your teeth and gums, but also prevent future problems from occurring. We offer a full range of cosmetic dental services, including bleaching/whitening, composite filings, inlays/onlays, veneers, and Invisalign braces. Our office provides comprehensive general dentistry services, including teeth cleanings, fixing cracked teeth, digital x-rays, periodontal (gum) treatment, dentistry for kids, custom mouth guards, night guards, restorations, extractions, dental implants, and root canals. Dental Emergency? Our office is available 24/7 for our patients of record. Complete family dentistry - family cleaning at the same time! Most procedures completed in our office - no need to leave! ​I’ve been going to see Dr. Adler since I moved to the area 3 years ago. I’ve always had good experiences with the staff and services. I will continue to recommend Dr. Adler. ​Took a six year old to this practice and had a great experience. Very friendly, accommodating, and knowledgable staff. Thanks Dr. Adler! ​We know the trust you put in us as your family dentist. ​When you refer your friends and family, a "Thank You" is just not enough. Learn about our $25 referral gift card bonus for you! Copyright 2016. All Rights Reserved. Visit our Blog. Powered by Cup of Jeff.